Lincoln Advanced Technologies has created an entirely new category of patented high level respirator mask, RESPIRA™, specifically designed to be used by all critical infrastructure workers and their families during a naturally occurring epidemic or biological weapons attack. Images below are simulation by HS Design, Inc. Content for demo purposes only. Healthcare workers (HCW) and First Responders do not have the respirators they need to protect them from a highly contagious deadly disease. SARS, H5N1 and Ebola have shown how quickly HCW contract illnesses from patients and their attrition rate is very high. RESPIRA™ can protect them when they are needed most. Office workers at all levels will have no protection available during an outbreak. Working in close proximity to each other without respiratory protection will spread disease to co-workers and create casualties among those whose work is essential for continuity of operations during an extended epidemic. There are insufficient numbers of gas masks and cartridges for use by active duty troops or National Guard during quarantine duty or protecting medical supplies. Those masks were designed for warfighting and are heavy and uncomfortable, ill suited for extended wear during an outbreak and cannot be used by DOD dependents and their children. 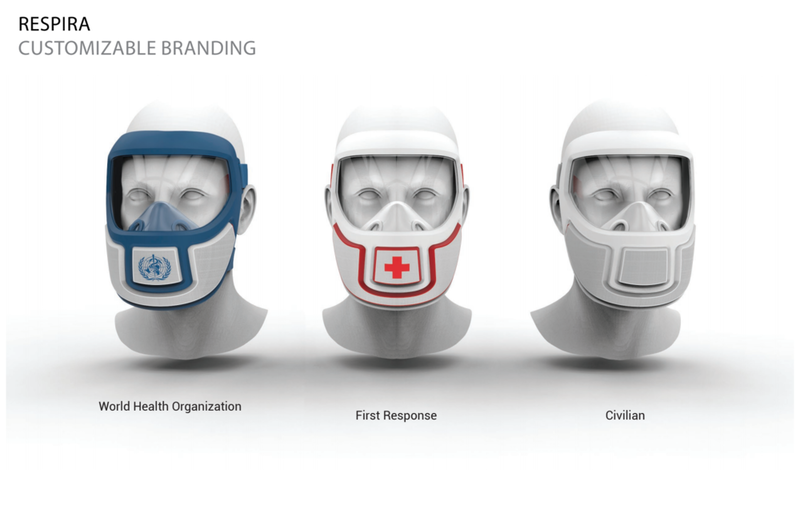 A new generation of masks for protection at the hospital, in the field, at work and at home. RESPIRA™ is a reusable, lightweight, full face respirator that filters out bacteria and viruses from respiration and prevents the wearer from infecting others. RESPIRA™ includes a drinking straw, telecommunications, and other desirable features for long term use. RESPIRA™ was specifically designed to protect critical infrastructure workers and their families from respiratory based infectious diseases. These include either biological weapons and naturally occurring infectious diseases such as H1N1 Swine Flu, Avian Flu, Smallpox and SARS. Inhalation and exhalation are filtered by separate, replaceable cartridges. The mask body is reusable during the entire duration of a pandemic, up to 6 months. Filtration cartridges are disposable and replaced as needed. It is designed for extended wear because people must live and work under pandemic conditions for weeks or months at a time. RESPIRA™ is currently estimated to fit 80% of the American population. RESPIRA™ is intended to be used with or without pre-pandemic vaccines, antivirals, other personal protective equipment (PPE) and MILSPEC helmets. RESPIRA™ is currently in fully functioning prototype at Technological Readiness Level (TRL) 4. Full manufacture and distribution can be accomplished in 18 months or less. Without proper protection many workers will become ill or won’t leave their home to perform their jobs, irrespective of the importance of their function. An epidemic will infect the workers necessary to operate our critical infrastructure, just when we need them most. DHS currently estimates that 85% of critical infrastructure is controlled by the private sector. Approximately 25 million first priority providers and essential personnel support critical infrastructure operations within the US. In order to ensure continued functioning of Government, Defense, Healthcare, Emergency, Finance, Telecommunications, Transportation, Utilities, and Water supply activities, these personnel require new-generation, low-cost, reusable, extended wear respirators that allow for enhanced filtration and ocular protection. If workers feel secure and know their families are protected at home, they will continue to perform their crucial job functions. Vaccines cannot be developed prior to an outbreak due to the unique genetic characteristics of each disease so none will be available for months or years following an outbreak. The epidemic could be over before a vaccine is available. Development would have to be begin at the time the outbreak is detected. Vaccine development has a 94% failure rate. They often take years to develop while the epidemic moves through our population unchecked. The 1918 killer flu epidemic lasted only 10 months in the United States but killed 675,000 Americans. During a "vaccine gap" of a minimum 6-12+ months, millions of Americans would already be infected and the likelihood of containing the epidemic would be lost. This would create an overwhelming crisis for our national infrastructure as workers refuse to go to work or their lives are lost. It is clear that the "pharmaceutical-only" approach to biodefense is insufficient to meaningfully address the national security and public health needs of our country. Vaccine effective­ness is often in the 20-50% range, reducing the number of cases but never eliminating them. Vaccinations have produced serious side effects and are not always appropriate for children, pregnant women, and other at-risk populations. 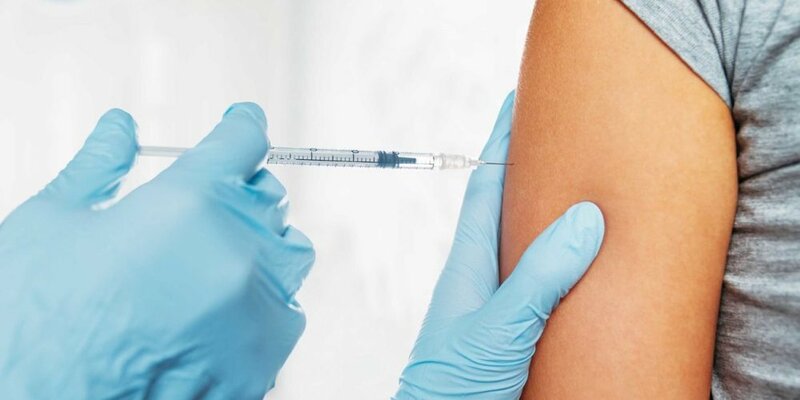 Suspicions about vaccine safety would prevent many Americans from agreeing to allow themselves or their children to be inoculated with a vaccine produced under hurried conditions and which may result in unknown side effects. Critical infrastructure workers and their families require respirators that are available on the first day of an outbreak that can protect them in the same way we protect our military and healthcare workers. Masks represent the single most important non-pharmaceutical countermeasure for a respiratory based disease, but until RESPIRA™ there has been no new design in over 50 years. The protection efficacy of respirators has been well documented, but current masks were never designed for use by ordinary civilians during an epidemic and are only available in limited numbers for front line military and health care workers. No supplies currently exist for use by other critical infrastructure workers or their families. RESPIRA™ is intended to protect those workers and their families during a public health crisis. N95 type medical masks which cover the nose and mouth are currently stockpiled in limited numbers for use during a pandemic. However, N95s were not designed originally as medical devices, were never designed to be used in the presence of extremely lethal diseases, do not protect the eyes, are not reusable, are not sized for children and do not seal effectively to the face, allowing infiltration of infectious particles. NBC’s were designed for short-term use in combat or emergency situations by young, healthy people.. Heavy and uncomfortable, they cause respiratory fatigue in adults and are poorly suited to the daily needs of critical infrastructure workers and civilians. NBC’s are not suitable or manufactured for use by children. There are insufficient numbers of NBC’s for wide spread use, they require specialized training, and are prohibitively expensive. Half masks were never designed as a medical device or for long term wear during a public health crisis. Commonly used for occupational use with paints and pesticides, they lack proper filtration, do not protect the eyes, do not come in child sizes and are inappropriate for use during a public health crisis. RESPIRA™ can be used now for front line medical staff and others facing influenzas, Ebola, TB and MERS around the world. All critical infrastructure organizations require available supplies: first responder emergency personnel, physicians, hospital staff, government and corporate personnel providing essential services and the families of these workers. Secondary markets include environmentally challenged urban air quality locations such as Beijing, China; Riyadh, Saudi Arabia; and Delhi, India. Other secondary markets include manufacturing sites requiring low airborne contaminants such as pharmaceuticals, cosmetics, munitions and nanotechnology. The U.S. domestic market consists of >50 million personnel in critical infrastructure activities, 21 million of whom are first priority providers and essential personnel within Government, Defense, Healthcare, Emergency, Telecommunications, Transportation, Utilities, and Water supply. The majority of these workers have spouses and dependents who would also require protection. There are parallel critical infrastructure markets in countries outside the U.S. such as the NATO countries and US allies in Asia.